Mart Laar (Minister of Defence in 2011–2012, IRL) writes on what Estonia may learn from the Russian-Georgian war of five years ago. Within days, five years will have passed from the Russian-Georgian war. Much is written about it, a movie has been made. Still, many a question remains unanswered. For instance: opinions differ when exactly the war started and ended; who started it; who was to blame. Herewith, leaving political aspects aside, I will focus on ten lessons, hopefully useful to defend Estonia. 1. Better the bitter truth than fancy illusions. While Russia had been preparing for the war, for years, knowing precisely what she wanted, Georgia did not. Georgia let herself be drawn into the war at a time most unfavourable. Her best brigade serving in Iraq, another on its way to go replace them. A part of the army was being re-armed and the equipment in maintenance; numerous officers on vacation. The Minister of Defence was on holiday, in Italy. The Georgian army was living a life of illusions. No serious preparations had been made for the defence of Georgia. It was hoped to wage the war on Abkhazian, perhaps on South-Ossetian soil. In the minds of the Georgians, Russian intervention was only feasible within the scope of the wars of the 1990ies. A wider Russian intervention was considered extremely improbable, and this was never considered while planning the operation. Therefore, bumping into the Russian army came as total shock and surprise for the Georgians; for many days, they struggled to overcome it. The totality of Georgian army was living in illusions, therefore predestined to march into defeat. 2. Headquarters-work and decent plans determine the course of the war. Russia had prepared the war to the very last button. Having trained for the operations, thoroughly. Georgian forces were to be forced into launching an attack in South-Ossetia; then, they were to be surrounded and crushed. After that, it would be easy to attack the totally defenceless Georgia, executing change of power. Georgia’s plans, in contrast, were very hazy. Their original plan did indeed take into account a limited intervention of Russian forces, this having some links to reality; even so, an attack against the South-Ossetian capital Tskhinvali was not planned. One brigade was supposed to pass the city on the left, the other on the right. Having met up behind the city, they were supposed to move towards the tunnel of Gupta and Roki, to cut off any chance of aid from Russia. Taking Tskhinvali was supposed to happen later. At the last minute, however, the plan was altered and a direct attack on Tskhinvali was launched. Instead of moving forward, fast, they directed their units towards the town. The Georgian forces never made it to the Gupta Bridge, to say nothing about the Roki tunnel. That determined the fate of the war. While, some years back, the same kinds of problems used to plague the Estonian army, the situation has improved over these past years. Headquarter work and planning has become more definite and realistic, laying a foundation for improved of defence abilities. 3. Intelligence equals sight. In the Russian-Georgian war, both sides were rather presumptuous regarding intelligence. Russian intelligence lacked precise information on Georgia; and they severely underestimated Georgia’s ability to resist. Georgian intelligence did have lots of data on Russia; even so, they did not have decent analysis, putting the data together. Also, they overly trusted in the technical NATO surveillance, which sadly missed the amassment of Russian troops behind the border, whence these were able to move swiftly into South-Ossetia. Presuming, as it were, that Russia would not attack her neighbours. This presumption was done away by the Russian-Georgian war, everything now being analysed from an angle altogether different. Estonia has worked hard at building intelligence and pre-warning systems, having achieved good results. This, naturally, will have to be continued. 4. Psychological defence matters. The war was preceded by a massive information attack by Russia. It was attempted to present the world with a view of Georgia as a small, aggressive and unpredictable country, led by crazy and morally corrupt bastards. Thereby, it proved possible to isolate Georgia from her allies, making her warnings sound unreliable. Even as the war progressed, the information battle played a vital part. It is rightly claimed that Russia may have won at the battle fields, still finally losing out on the information front. 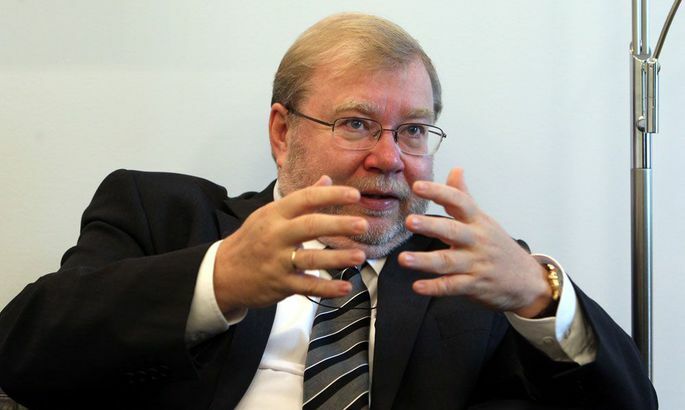 After the events of 2007, Estonia has grasped the necessity for information war; but due to the desire to attack the person of Minister of Defence Jaak Aaviksoo for his initiatives of psychological defence, this has stalled. It is time to carry out the plans. 5. Today’s wars are total by nature. As revealed by Russian-Georgian war, in contemporary warfare conventional means are entwined with the new methods such as cyber and information wars. As the tanks set forth, the cyber attacks commenced. To switch off Georgia’s information systems, both cyber attacks and bombardment from planes were used. Estonia has realised the need for broad based defence; however, the corresponding laws are still waiting to be passed. 6. Decent medical service and personal means of protection save lives. In the Russian-Georgian war, over 1,200 Georgian warriors were knocked out of action, two thirds of these being wounded. Of those, many could have died; even so, they were spared thanks to protective vests and decent helmets. The wounded were swiftly gotten off the battle fields, medical service functioned well. Only three per cent of soldiers died of their wounds. In Estonia, much attention has been paid to development of medical service; even so, we are only starting down that road. 7. Controlling air space is vital. Georgia’s air force is small; it was only used in one mission during the war. That was prudent, as otherwise these also would have been shot down. Theoretically, at least, the Russian air force could feel totally confident in Georgian skies. Georgia’s antiaircraft forces tried to resist, but were quickly subdued; after having lost the radars, they were quite in the dark. Mobile anti-aircraft weapons, operated by warriors, proved more efficient. Sadly, there were few of such, and some were outdated. Still, Russian air force proved unable to make use of its absolute superiority in the sky. Cooperation between Russian air and ground forces proved extremely poor. The latter considered any aircraft spotted overhead to be Georgian – so, they fired at them. Over half of the Russian planes lost in the war were shot down by friendly fire. The planes, in turn, bombed the forces moving on the ground. Estonia has banked on the NATO air shield and has not wasted her resources on developing an air force which would be immediately shot down anyway. Antiaircraft weaponry has been developed; with mobile rockets, there is abundant room for development. 8. Do not scrap tanks and cannons. As revealed by the Russian-Georgian war, even artillery has its place in contemporary warfare. Tanks helped stop the Russian offence at the start of the war, also playing the decisive role in destroying the column of Russian 58th Army head General Hrulev on August 9th, 2008. The Gori artillery brigade, highly praised even by Russian sources, lead the way fighting off Russian troops approaching Tskhinvali. 9. Half-baked solutions will not work. Instead of a «paper army» and parade units, integrated whole units need to be created. Let such be less in number, rather; but let them be capable. What good were the Georgian brigades, when the men lacked decent communications, others having no transportation? The ability of such units to participate in battle is zero. Slowly and painfully, Estonia is beginning to get this; the new state defence development plan considering these issues. 10. Hope in NATO, but keep gunpowder dry. International relations are vital; even so, all told, we can only count on ourselves. The Georgian hopes for solid help by somebody were crushed. Had they not fought themselves, keeping the Russian advance back at least for some few days – in spite of all mistakes made and the situation being unfavourable – the Georgian state would have been wiped off the map, and a new government installed. Mistakes and all, it were only the Georgians themselves who saved the Georgian state. For Estonia, the experience means we will have to be well integrated and rehearsed to interact with NATO, while diligently seeing to our independent defence capabilities. At that, it is vital to have a strong will to defend ourselves i.e. the desire to stand up and fight – if needed. The stronger the will, the safer the state.